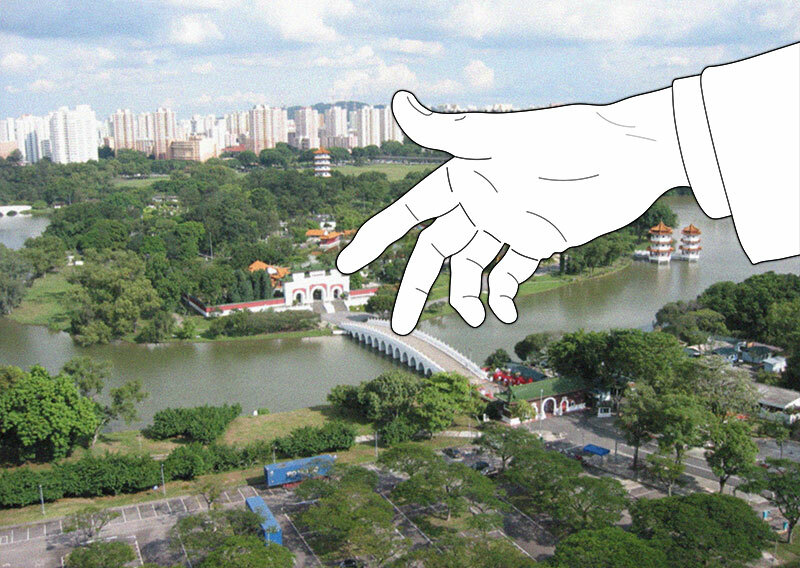 Here are seven urban objects built after Singapore’s independence that show a propensity for bigness. With recent projects such as the world's largest floating solar photovoltaic cell test-bed (2016), the world’s largest pre-school (2017), and the world's tallest indoor waterfall (2019), it would appear that that this trend is not only continuing, but intensifying. 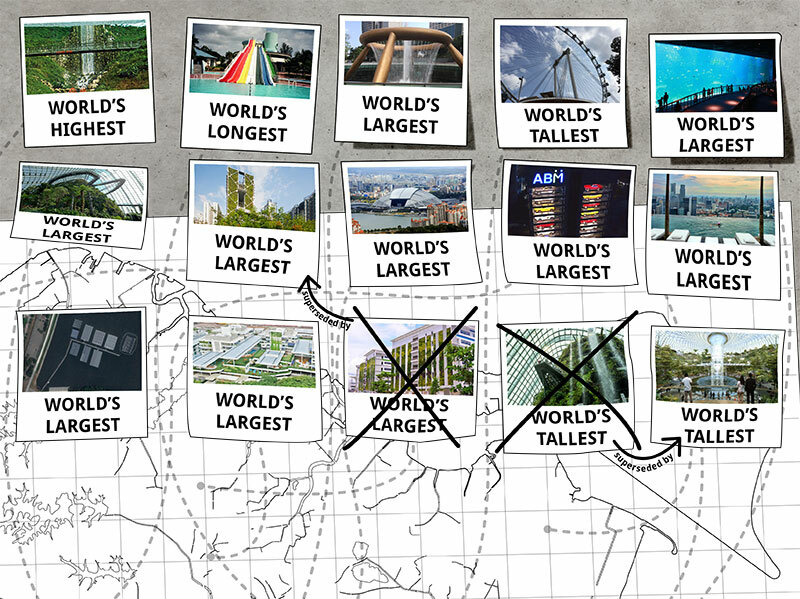 On a relatively small island, Singapore has many of the world’s biggest things. Based on size alone, these spatial objects are elevated onto the global stage and also into the realm of spectacle. However, as we gaze in wonder at these feats of engineering and architecture, we should also look beyond the surface and reflect on their contents and value. The emphasis on the scenic and the visual at many of these sites is something that promotes this sense of spectacle. 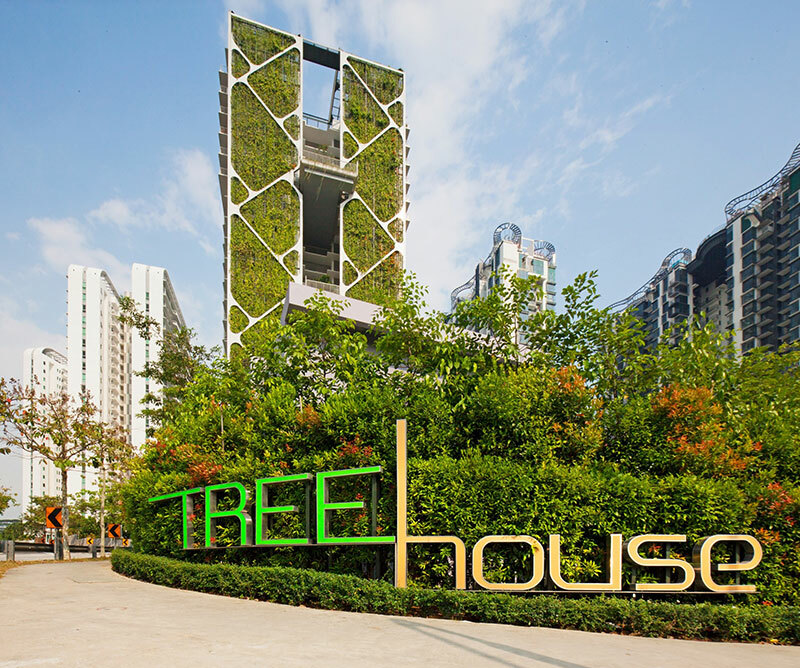 At Tree House's largest vertical garden in the world, even condominium residents have no way to fully experience the gardens other than to view it from a distance. This is also evident at the Singapore Flyer (formerly the world’s tallest ferris wheel), which uses itself as a device for obtaining framed views of the urban spectacle that is Marina Bay. Within a capsule, you still 'move' through the city, but only at the very precise speed at which the Flyer rotates. In the case of the Suntec City’s Fountain of Wealth and the forthcoming waterfall at Jewel Changi Airport, formerly the world’s largest fountain and the world’s tallest indoor waterfall respectively, both water features are circumscribed by retail outlets such that a visitor’s experience of the water feature is intertwined with the shopping experience. 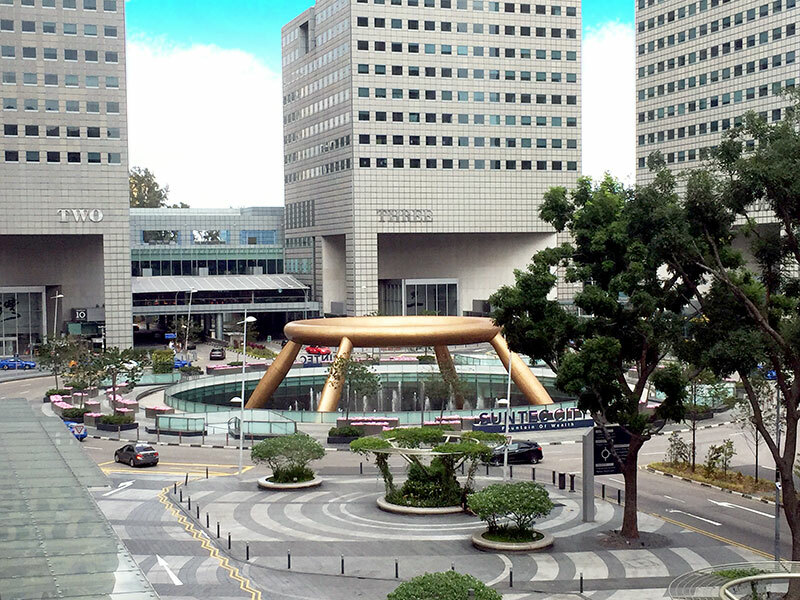 The notion of consumerism is further reinforced at the Fountain of Wealth where the public are free to enter and participate in the urban tableau within a space designed based on feng shui principles and meant to bring prosperity to the shopping mall in the form of increased customer spending. Two of Singapore’s world’s biggest objects that have suffered much unfortunate press have been the Singapore Flyer and the National Stadium (featuring the world’s largest free-spanning dome). Despite opening with much aplomb, the former experienced a number of breakdowns and stoppages, while many shops located at the base of the Flyer have either folded or moved out due to poor business. After years of dwindling profits, the Singapore Flyer went into receivership in 2013 and even with new owners, the ailing business has not yet been turned around. The National Stadium came under fire shortly after its opening for the poor quality of its sports pitch and took even more heat for its inability to adequately host a National Day Parade (NDP). Ironically, the free-spanning dome roof was the cause of these issues. It hinders the amount of sunlight that is able to enter the stadium, such that its owners had to spend $1.5 million on an artificial lighting system to facilitate the growth of grass. During the 2016 NDP, the first and only NDP to be held at the Stadium thus far, the dome also obscured views of fireworks and the national flag fly-past while preventing the Red Lions from parachuting into the Parade. Since 2016, subsequent NDPs have been held at The [email protected] Bay - which happens to be the world’s largest floating stage - and reports suggest that organisers have no intention of bringing the Parade back to the National Stadium. 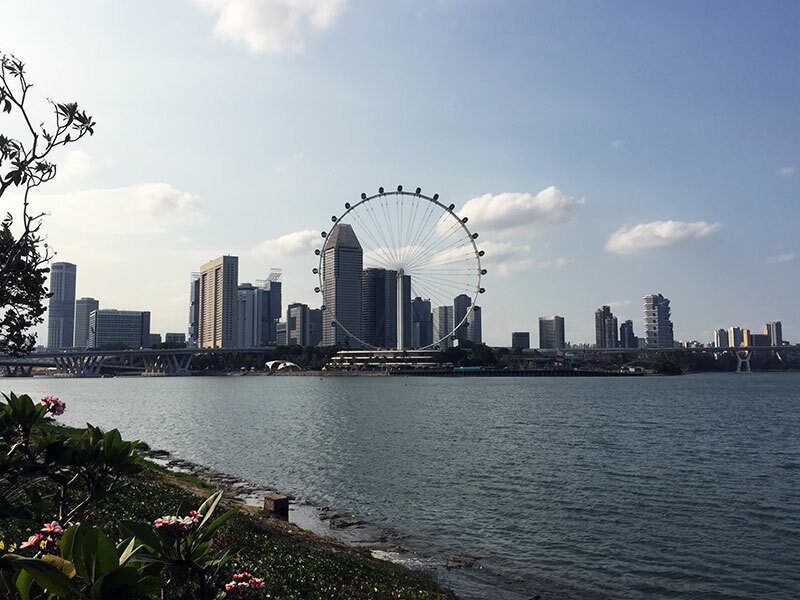 Sports and tourism experts agree that the failure of the Singapore Flyer and the National Stadium may be attributed in part to their inability to resonate with Singaporeans. The Flyer was a copy of the London Eye and had little significance to history or context of Singapore; and while the planners thought of it as the ‘Eiffel Tower of Singapore’ the actual Eiffel Tower not only symbolised advancements in French engineering, industry and science, but was purpose-built for the 1889 World's Fair. Because of that, the Tower not only meant something to the locals, but had a function which eventually forged a sense of culture surrounding the object. Brutish in its appearance and utilitarian in its demeanour, the Old National Stadium was very different from Singapore’s current National Stadium. 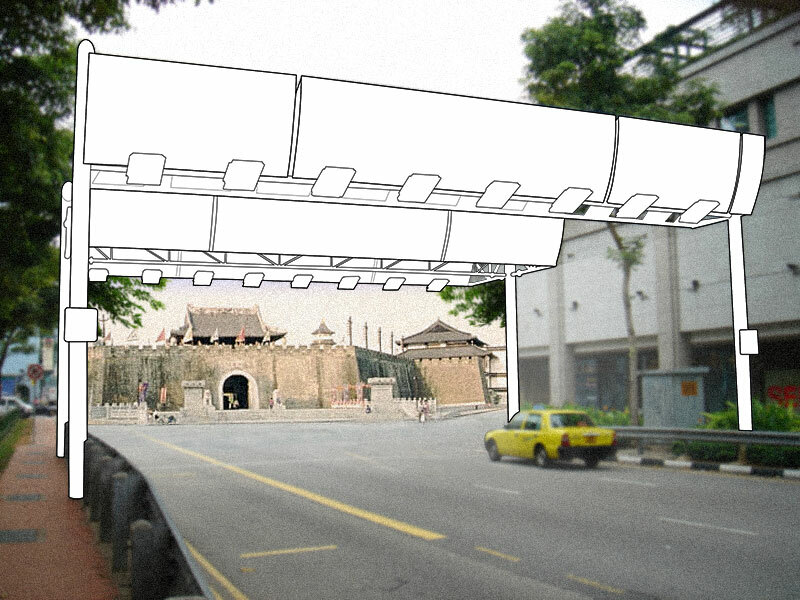 However, it holds a special place in Singaporeans’ collective memory. Having ably served its purpose in hosting numerous historically significant events, Singaporeans were able to identify with the stadium as a site of memory and culture – most famously in the form of participatory activities such as the Kallang Wave. Perhaps what we can observe is that the most important spectacle at the Old National Stadium was in fact the people, the collective, the mass ornament. No groundbreaking engineering or large free-spanning structures were required. S.E.A. Aquarium (the world’s largest aquarium), Gardens by the Bay (featuring the former world’s tallest indoor waterfall), and the Jurong Bird Park (allegedly the world’s largest bird park) all offer achievements in terms of size, but they all also use simulation to present grand, manicured representations of natural habitats. While these nature-driven attractions are important parts of the local tourist industry, a distinction between simulacra and reality should be maintained. In July 2018, veteran wildlife expert Subaraj Rajathurai accused the developer of the upcoming Mandai eco-tourism hub of not taking adequate measures in order reduce environmental impact of the hub’s construction work. According to Rajathurai, this led to a number of roadkill incidents involving at least five native mammals within the vicinity of the work site. This report came shortly after nature groups called for more clarity on how soil works for the planned Cross Island Line have affected animals in the Central Catchment Nature Reserve. Such incidents, coming to light at a time when large portions of Singapore’s secondary forests are being developed and transformed, remind us that attention should also be given to Singapore’s existing natural heritage and biodiversity. Singapore’s green areas such as the Central Catchment Nature Reserve, though neither highly-curated nor profit-spinning, are perhaps able to have more of a lasting impact on Singaporeans. They are open to the public and widely accessible, allowing for the engagement with and appreciation of nature to form part of the everyday Singapore experience – no tickets or acrylic viewing panels necessary. 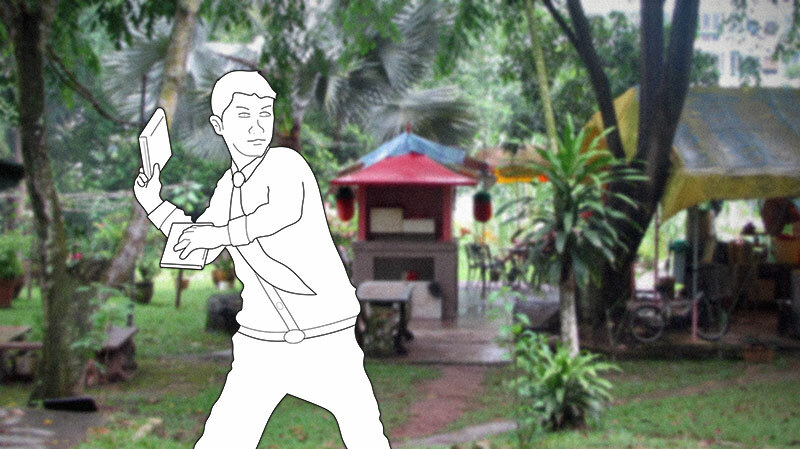 One encouraging future project must be the Sembawang Hot Spring Park. The park expands upon a natural phenomenon that already has a history and sense of culture surrounding it, and will provide opportunities to touch, use, and celebrate the spring water. The sense of community that has developed organically around the spring over the years will hopefully grow through the provision of foot baths, egg cooking areas, and gathering spaces. Although this might not be the world’s biggest or tallest anything, this park may well inform how future attractions are thought of and developed in Singapore. For the corporation that is Singapore Inc, the global audience is the customer. Since the pleasure of accessing or acquiring a new commodity is fleeting, it is only a matter of time before people pursue a new desire. For that reason, Singapore will need to use its city to create new wants; it will need to continue building objects which contribute to its tourist numbers. Let us hope, however, that future attractions and icons are not mere hollow spectacles, but spaces that connect with Singaporeans and speak to their wish to live in a home not a trophy room. 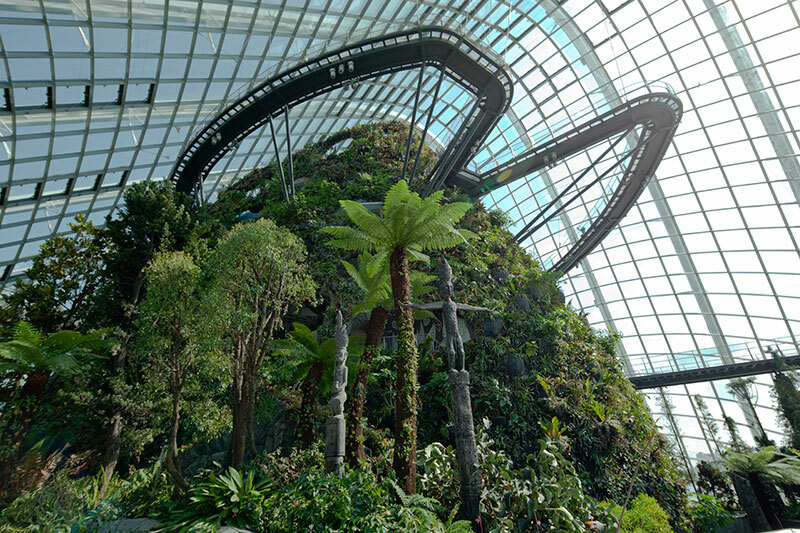 Located in Singapore’s Garden Industrial Estate of Jurong, the Bird Park was intended to give its residents “a sense of belonging” and was envisioned to be Singapore’s top tourist attraction. 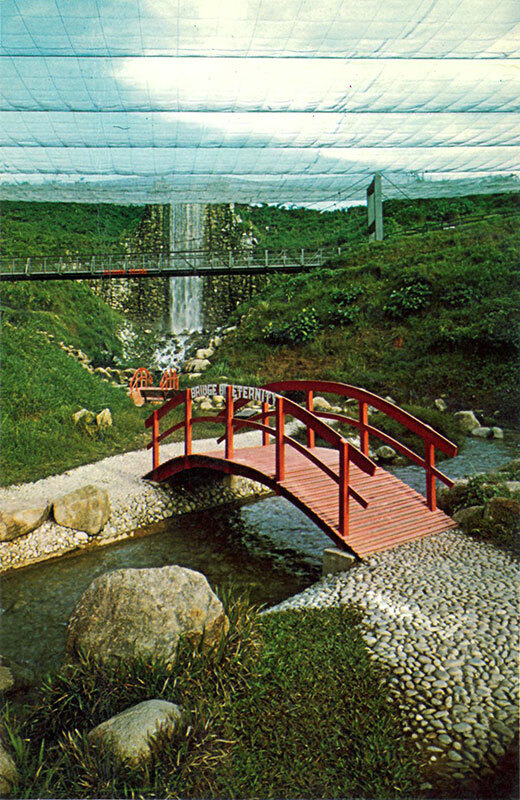 At the time of its opening, the Bird Park also featured the highest man-made waterfall in the world, which was located within what was, purportedly, the world’s largest walk-in aviary. One article in The Straits Times also claimed that it was the world’s largest bird park. 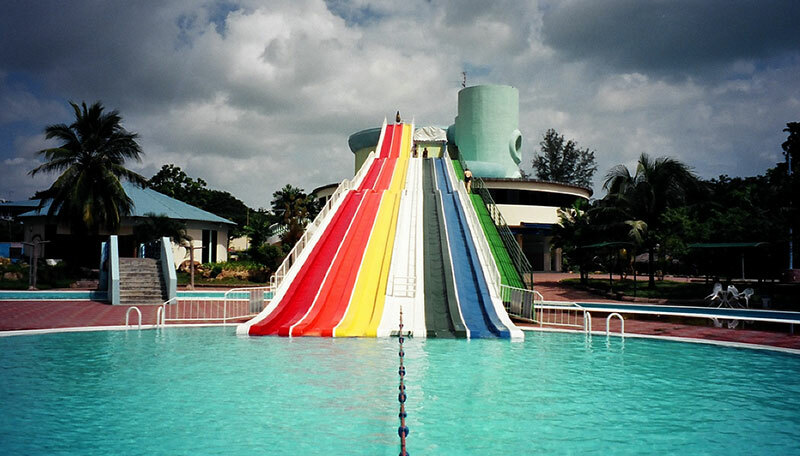 With its 82 m long and 17 m high water-slides, Big Splash once featured the highest and longest water-slides in the world. The $6 million centre was also the first recreational aquatic sports complex in Singapore, intended to 'revolutionise' public bathing in the country. The Fountain of Wealth entered the Guinness Book of Records in 1998 as the largest fountain in the world. At certain times of the day, the fountain is switched off and visitors can walk under the main structure and around a smaller fountain at the centre of the fountain’s base. It is said that those who circle the mini-fountain three times while touching its water will receive good luck and blessings. For about 70 weeks, The S.E.A. Aquarium was the world's largest aquarium by total water volume. Part of the Aquarium's 'Open Ocean' habitat also features the world's largest single acrylic viewing panel, which is approximately 36 metres wide, 8.3 metres high, and 70cm thick.